Your time and attention are most precious to your dog! It's true. Dogs are wonderful companions and the best at teaching humans the meaning of absolutely unconditional love. The best gift you can give your dog is your time and undivided attention. It doesn't have to be long - 10 minutes a day is enough if that's all you have. Forget everything you "should" be doing, forget about the concerns of the world, forget about all the deadlines you have to meet, the calls you have to make, the bills you have to pay. Just for 10 minutes. And give those precious minutes to your dog, who will truly appreciate them. In the picture you see me (my feet, anyway!) and my dog Dax competing for and earning her Novice Rally title. We trained just a few minutes every day. Training is a great way to spend 10 minutes! 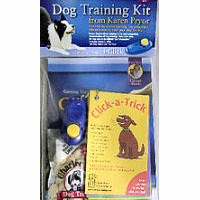 The Clicker Training Kit is a great introduction to training. Positive reinforcement training, the fancy name for Clicker Training, is a fun way to make dog training into a game that both you and your dog will enjoy. The Kit includes a book, clicker, treats, and even a set of "trick cards" for a quick start in showing off your skills - and your dog's! It's true that in just a few minutes a day, with no "corrections" or "punishment" your dog can learn just about anything - from the basics of sit, down, heel, stay, and come; to "tricks" like roll-over, sit up, play dead - or whatever you can think of that your dog is physically capable of doing. 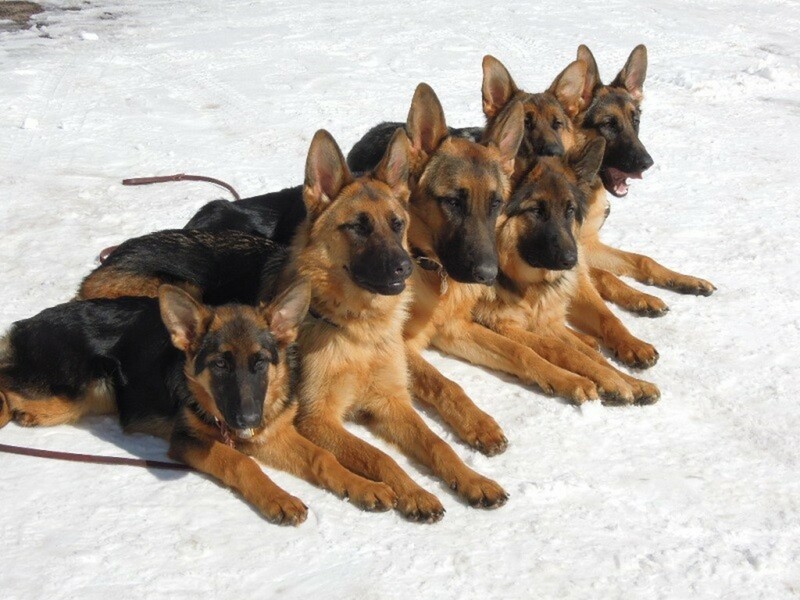 Not all dogs learn at the same rate and some behaviors are easier for some dogs than others. But every dog can be trained with the same tools we use for children: patience and consistency, and making learning fun! Reward-based training (Positive Reinforcement) requires some yummy treats! We've never met a dog who didn't like Toy Temptations. Available in six flavors - including Chicken/Parmesan. Corn, Soy, and Wheat-Free, these treats are made and sourced in America. Before purchasing any treats for your dog - be careful to read the label completely. Numerous recalls of foreign-made or foreign-sourced treats have resulted in news headlines about pet deaths over the last few years. 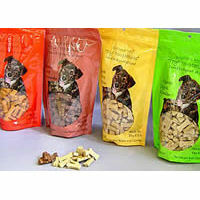 You want treats for your dog that are not only "Made in the U.S.," but made from ingredients grown in the U.S. as well. We use the Treat 'N Training Bag all the time. 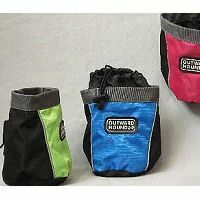 It has a belt clip and a cinch closure - treats are handy when you need them and you can easily close the bag. Some dogs become "wise" to the treat bag's presence - they'll go directly to the side with the cookies if they see the bag hanging on your hip. While treat bags are very convenient, try hanging it on a back pocket, where the dog can't see it. 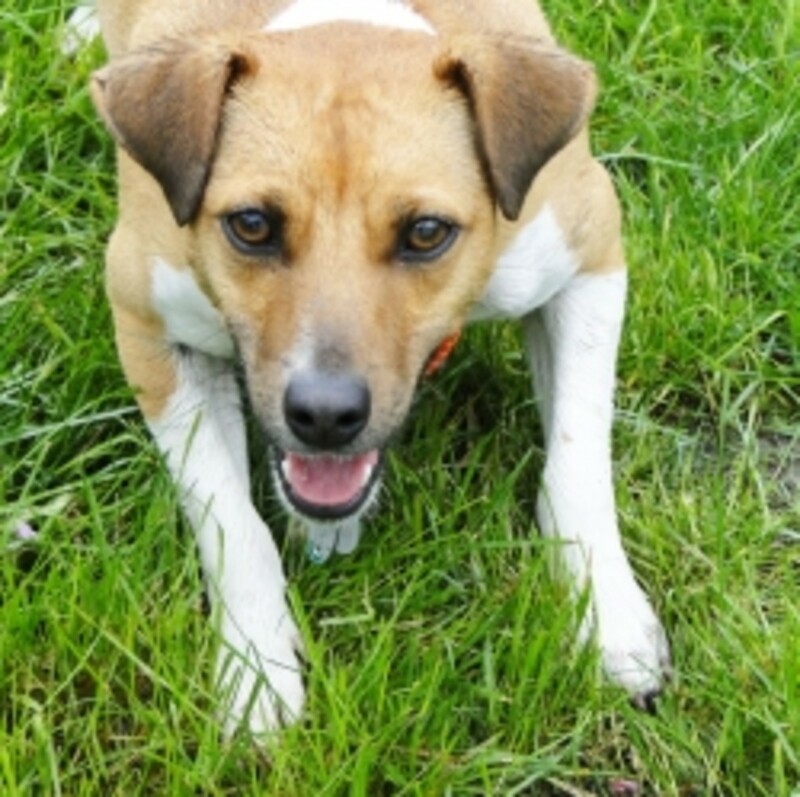 If your dog enjoys playing with toys you can also reward with a game of tug or fetch. Anything the dog truly enjoys is a good reward. 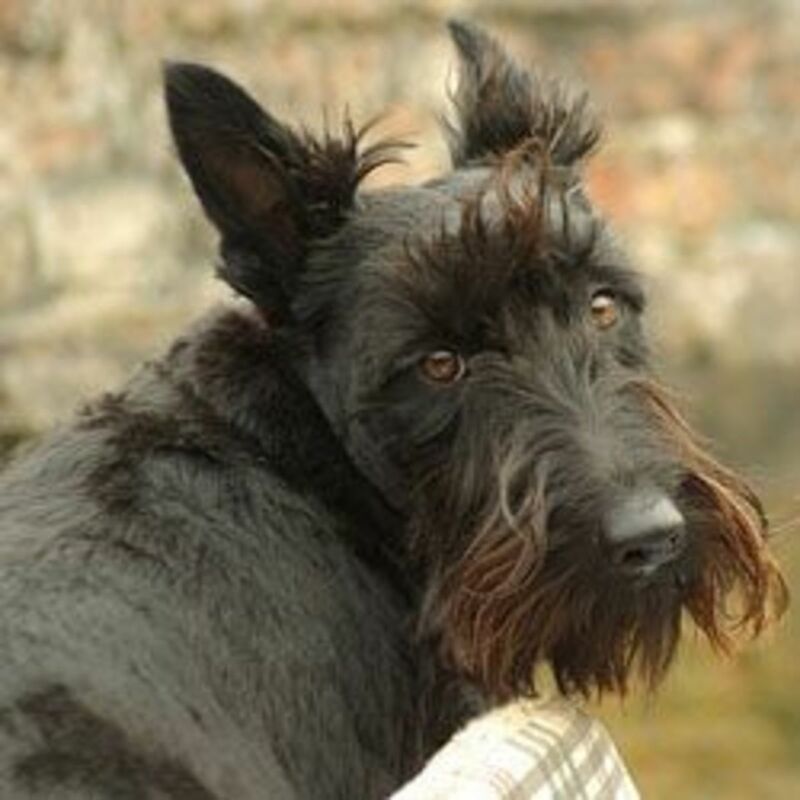 We've talked to some people who believe that a hearty "Good Dog!" is reward enough. We wish that were true for all dogs, but most require a bit more "payment." After all, even if you love your job, your co-workers, and everything else about your work - would you do it if there weren't a paycheck involved? You can find a complete selection of training gear, toys, treats and "going out" gear at our shop, Golly Gear, specializing in fun, affordable and practical products especially for small dogs. 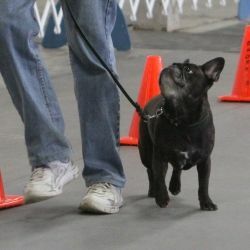 It does take time and patience - but you can train your dog to participate in any of these fun events - Obedience, Rally, Agility, Nose Work, even Canine Freestyle (Dancing with Dogs) like the handler/dog teams in these videos! Does your dog do some tricks? My dog make shivasana much better than me. @Judith Nazarewicz: Terrific! And I bet it was fun for both of you to work on those tricks. I love seeing my dog(s) trying stuff out and playing with me in our training. My dog closes the door, plays dead, jumps up on a stool, and some other tricks. He can be such a ham sometimes!